Attack 1 : Sing untill every body dies. Justin sing and kills everyone. 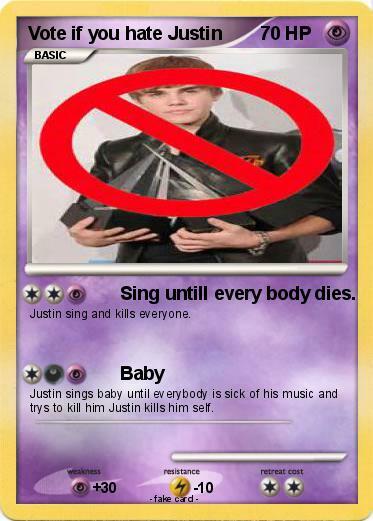 Justin sings baby until everybody is sick of his music and trys to kill him Justin kills him self.